It’s obvious that the Galaxy Note series from Samsung comes with S Pen that enables users to be more productivity and to get more out of their Note device. 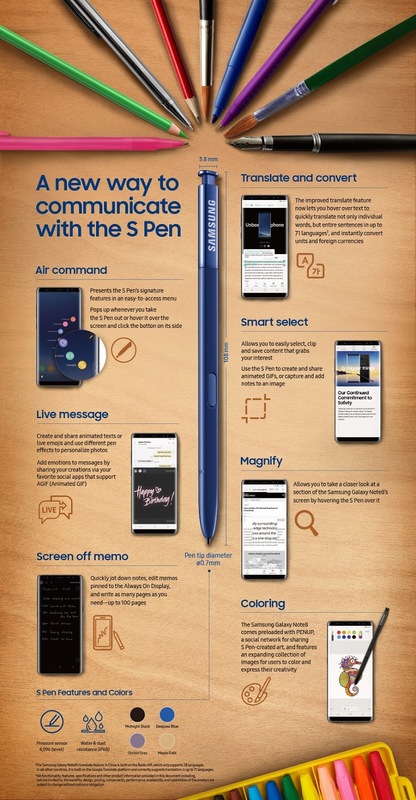 With the launch of Galaxy Note 8, Samsung has introduced a new S Pen which is more productivity-orientated than its predecessors. It comes with new features like Live Message, PENUP, Translate, Smart Select, Magnify, and more. Here we are going to discuss these features of Galaxy Note 8’s S Pen in the form of Infographic. So let’s get started.